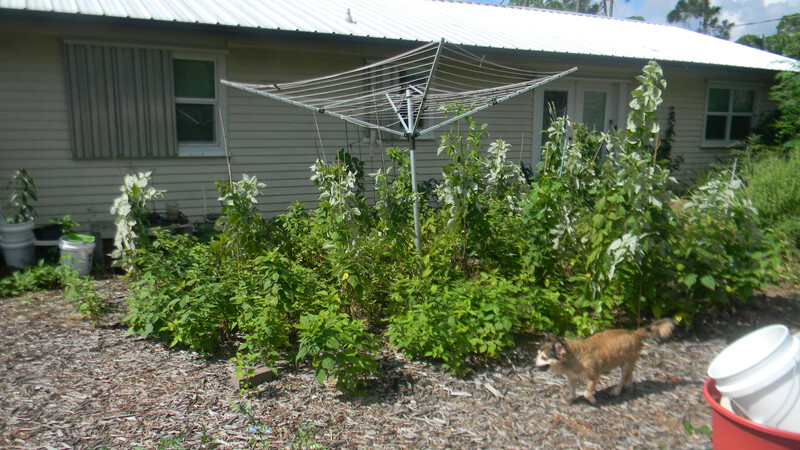 I was finally able to get out today and stake up most of my raspberries. I just looked back at pictures from my patch last year and I am sure this years patch is almost 3 times the size it was last year. I even pulled shoots this year so it stayed a bit confined. This patch was actually started from a 3″ pot (I still keep the plastic pot, lol). I had pulled a cane from my original bed, planted it in the pot, sat it by the side of my house and forgot about it. The cane grew through the bottom of the pot and the rest is history. My original patch never did do well and eventually I pulled it up. People are always asking me what I do so that they grow so well in Florida. I really am not sure that I do anything special other than water every day if it doesn’t rain and feed them now and then with compost water or water with some coffee added. The area is mulched and this year I did add some hay as the much is getting thin. I don’t know if you are supposed to stake them up but I do and there are several reasons that I do this. 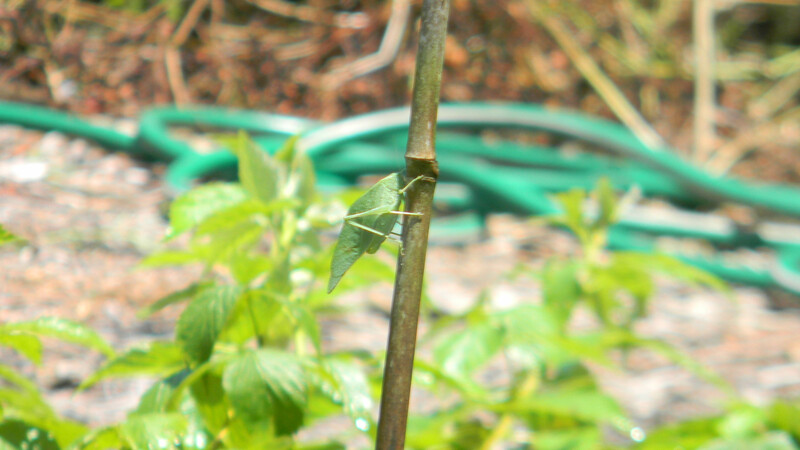 While staking today I saw several LARGE grasshoppers and yesterday while watering I saw this, I think, Katydid. 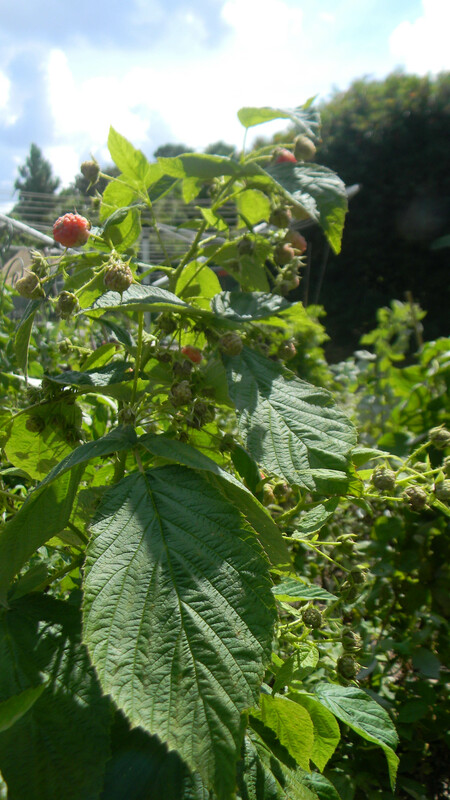 If you grow raspberries I would like to hear what you do. 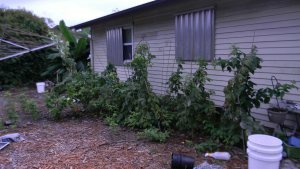 This entry was posted in Gardening, Posts, Raspberries and tagged florida, florida raspberries, gardening, Growing berries gardening, Growing Raspberries in Florida. Bookmark the permalink.